The battlefield of the future will be complex, with mountains of data moving rapidly between commanders, operations centers and the joint warfighter. In this multi-faceted environment, Army researchers and their partners are seeking solutions. 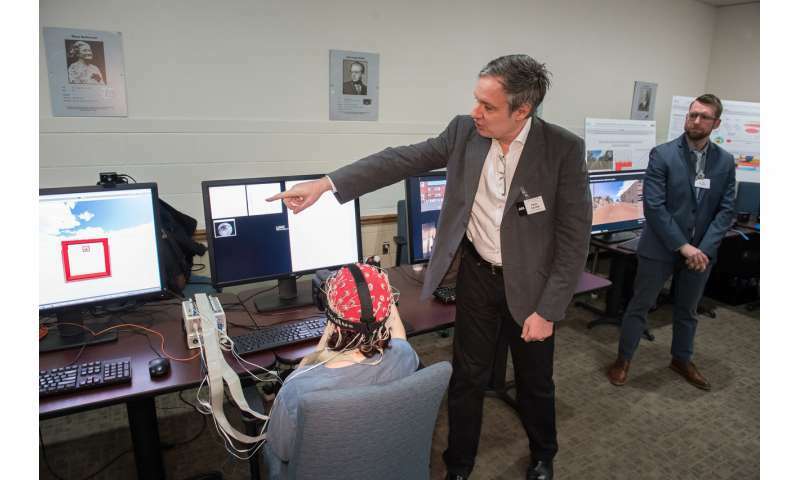 "This Alliance is about taking all that we have learned in the field of neuroscience and neurotechnology and moving that out of the laboratory and putting it in the real-world—Army relevant contexts and real-world environments," Touryan said. 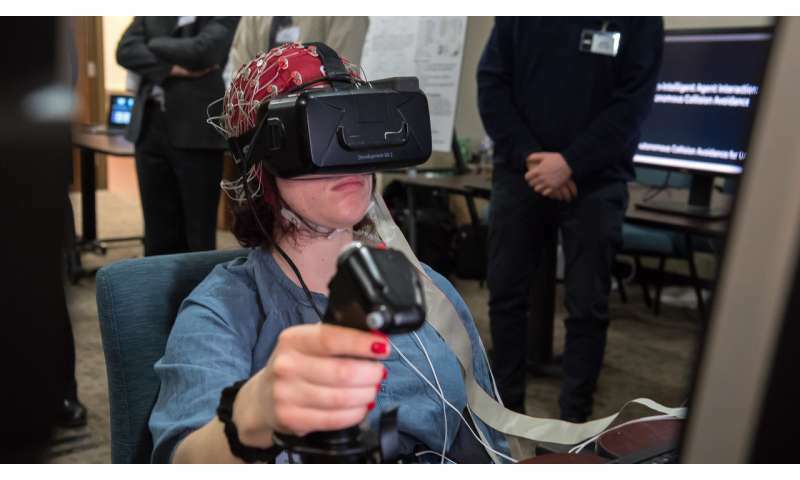 "What we're interested in doing is understanding whether we can look at the synchrony between the physiologies—the brain response or the heart rate response—between the driver and passenger, and use that synchrony to predict whether the driver is going to remember the information the passenger is telling them after the drive is over," said Dr. Jean Vettel, an Army neuroscientist. "We need a greater capability to be able to estimate and predict human variability, behavior and intent across different contexts. This means people, individuals, environments and groups." The experiment also used a unique visualization tool developed at the laboratory. 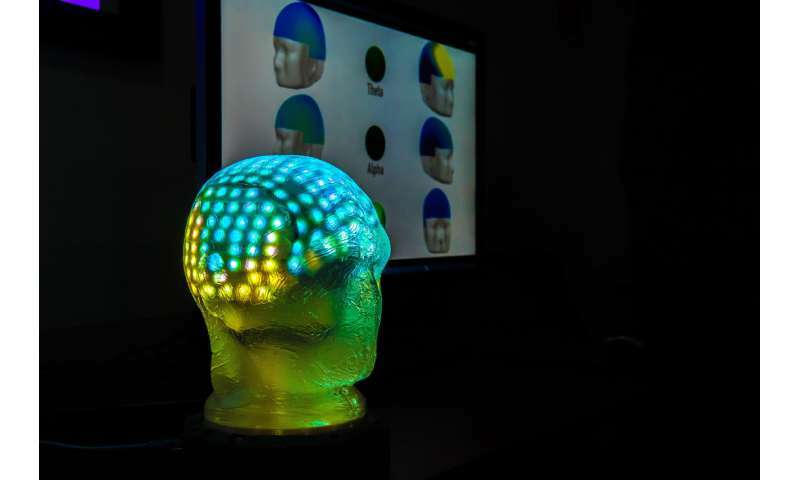 Known as CLIVE, or Customizable Lighting Interface for the Visualization of EEGs—or brainwaves—the tool shows how well two brains are synchronized. "That is a tremendous challenge because these are very subtle electrical signals that can be swamped by a whole number of other processes physical movement or changes in the environment—and we've developed technologies that enable us to measure these signals, both on the physical sensor side as well as through signal processing," Touryan said.